Ansprechpartner/in von VALMAR GLOBAL d.o.o. HTB line is one of the most durable convection shop oven on the market. It's inovative design, technological superiority gives this oven a distinctive edge and flexibility in bakery shops. 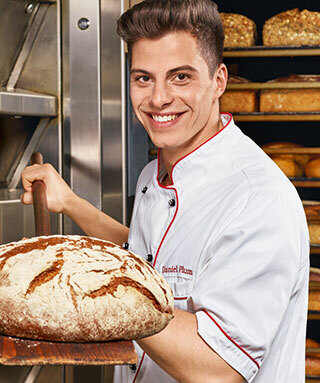 Inovaive steam generator, refresh system, self cleaning, LAN connection and other functionalities make this oven a first choice for artisan bakeries aswell as supermarket chains all over the globe.